What a day for a Boxing Day walk! The sky was blue; the day was crisp; the wind was hardly stirring; the waters were still. Nature was looking its best. In the first field we came to a pony trotted up to us to say hello. What a lovely beast she was. I know she was a she because she suddenly turned around. Nature, whilst still looking at its best, was showing us a side for which we were not prepared. “GET BACK EVERYONE!!!!! 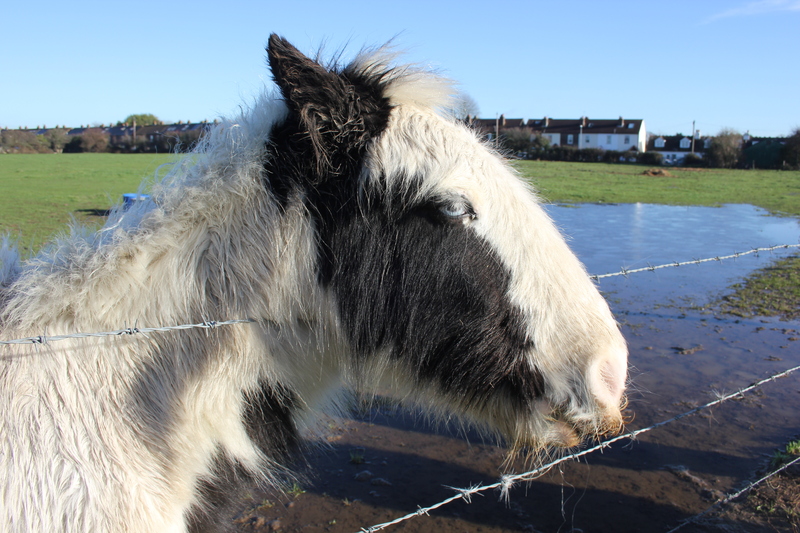 !” screamed my wife, clearly fearful that we would be overwhelmed by an inundation of urine or perhaps even be thwonked in the head and bowled over like skittles by a new-born baby pony as it shot into the world, right at the very beginning of our walk. Some passing walkers smirked at my wife’s panic, although I couldn’t help but notice that they veered off the path in order to give the pony a wide berth. 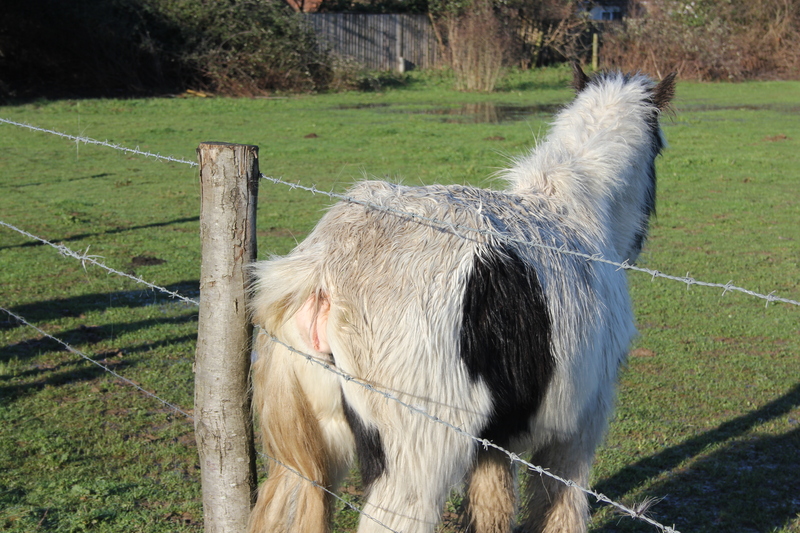 The pony was oblivious to all of this, and scratched her innocent behind on a fence post. When someone (or something) starts scratching it is only a matter of time before you start to get a bit itchy yourself. As we watched this beautiful pony rub itself up and down I began to feel as if I could use a good scratch on the fence post myself. I could tell my wife was thinking exactly the same thing; she looked relieved when I suggested we carry on walking to Slipper Mill Pond (she would have looked relieved even if I had not suggested moving on, because she was clearly only seconds away from joining that pony at the fence post). Slipper Mill Pond has a causeway running across its southern and western edges. It is a tidal pond. In 1527 a local landowner named Simon Coates died and left some land here to a hermit. This was so the hermit could dwell in the house which stood there and pray for the souls who used the bridge and causeway built by Mr Coates. It is believed that this hermit was one of the last hermits to exist in the country, although no-one seems to know for sure (I suppose it must be difficult to monitor hermit numbers because hermits are so hermit-like). The first mention of the name “Slipper” in this spot appeared in 1640. The actual word used was “Slype”, meaning “mud”. The mill and tidal pond were not built until 1760. The mill continued working until 1939 when it ceased production; it was eventually demolished in the 1960’s. As we walked along the causeway running up the side of the pond we looked over to the houses backing on to it. 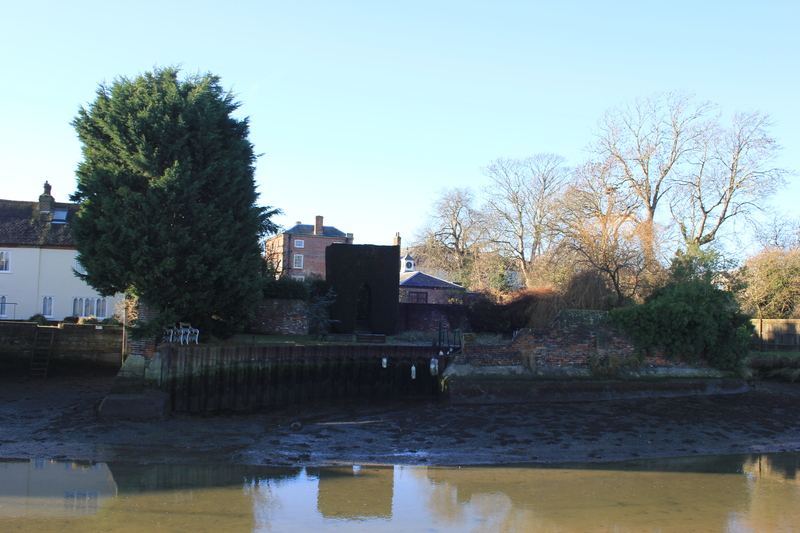 They had their own private moorings at the rear of their gardens, giving them access to Chichester Harbour and the sea. 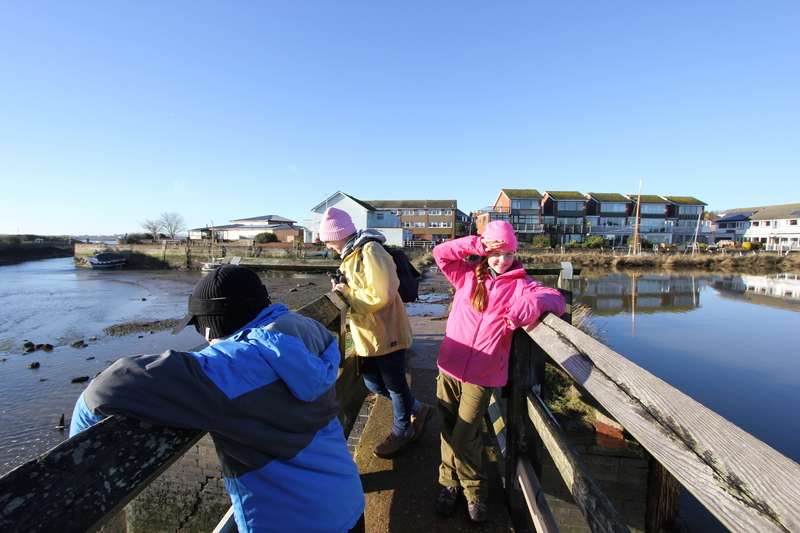 The causeway along the western edge of Slipper Mill Pond took us up to the main road running through Emsworth. We walked along this road for a couple of hundred yards and then turned back towards the shore. We were about to cross from West Sussex into Hampshire. This entry was posted in West Sussex and tagged coast, Emsworth, itch, pony, scratch, travel, walking, west sussex. Bookmark the permalink.